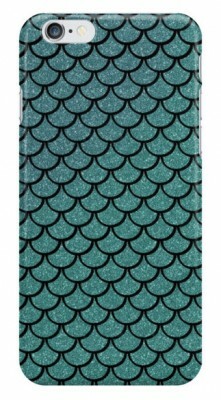 Because those of us who are secretly mermaids need secret, sparkly iPhone Cases. And this Mermaid iPhone Case is shiny, sparkly, and mermaidy, all rolled into one. It comes in nearly every iPhone size, and you can choose whether you want the Snap version or the Tough Version. I, personally, will go with the Tough version, since the seas can be rough. Especially when you don’t have pockets. Check out our other Favorite Disney iPhone Cases in our Gift Guide, or you can head over and check out our Disney Cell Cases just for the iPhone 6! Yay! I just checked and I can order this for a 5s too!